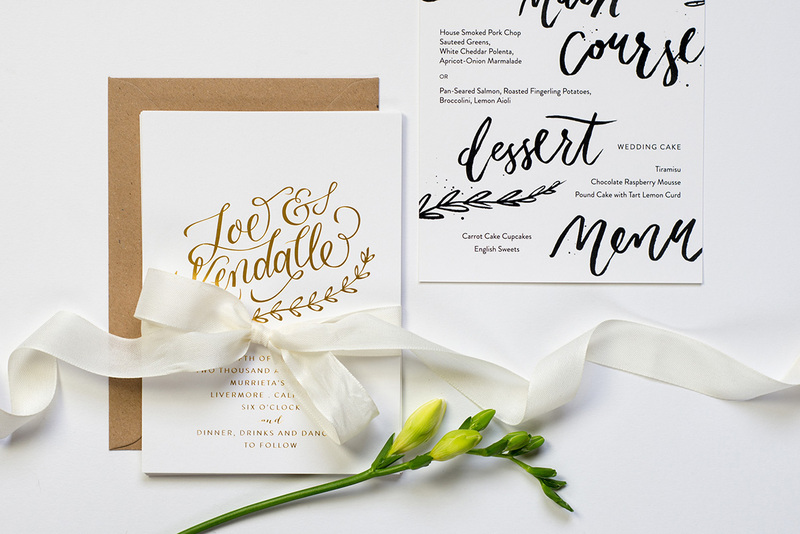 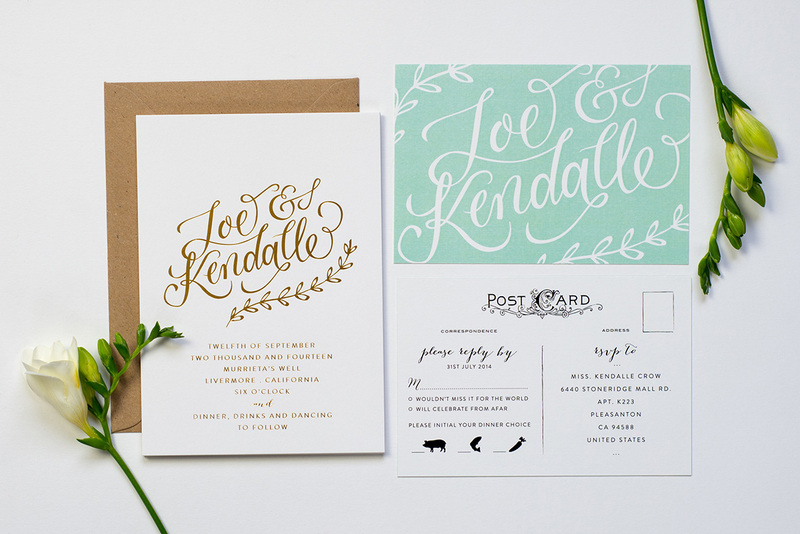 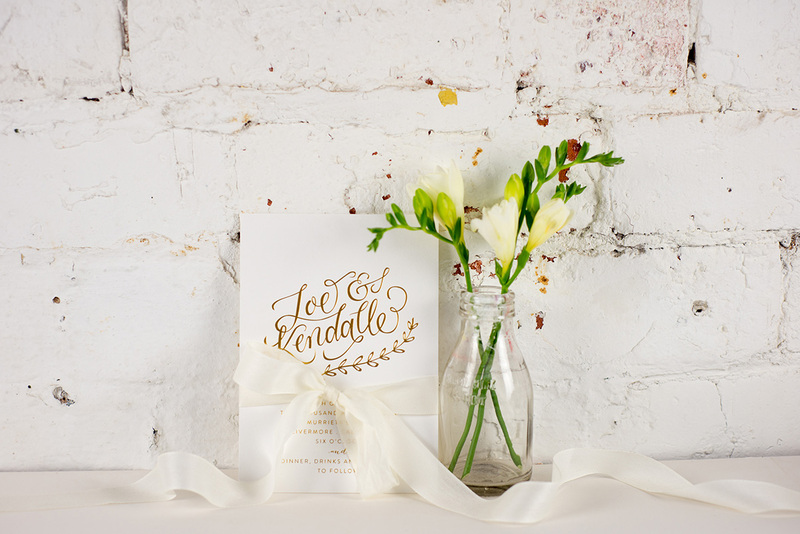 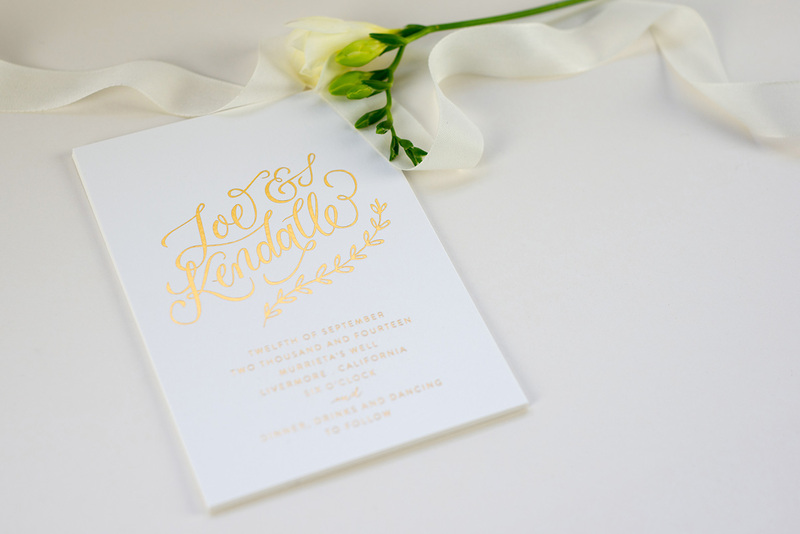 Kendalle and Joe’s California invitations feature custom hand lettering and gold foil printing. 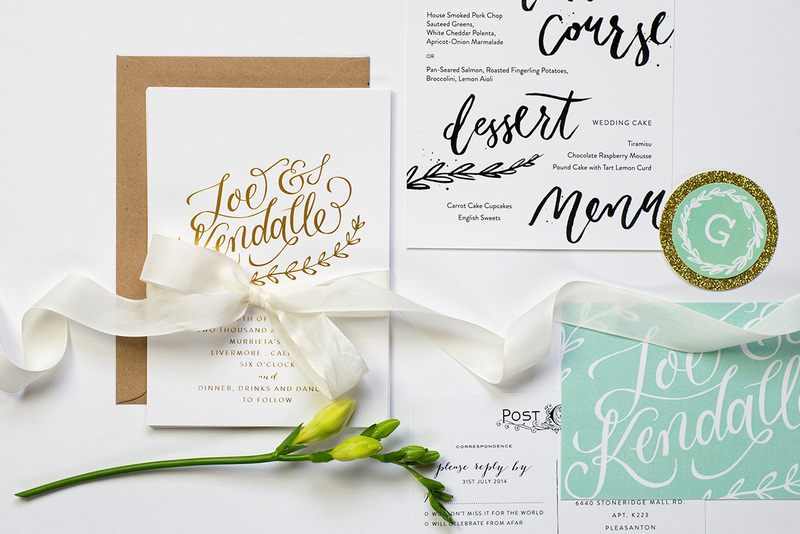 Coordinating RSVP postcards were designed in mint and including the guests meal choices. 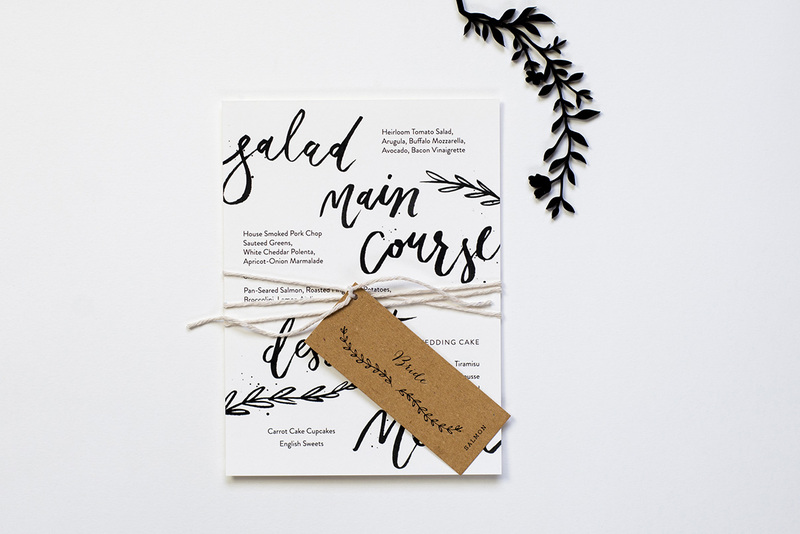 The menus were hand painted to match.